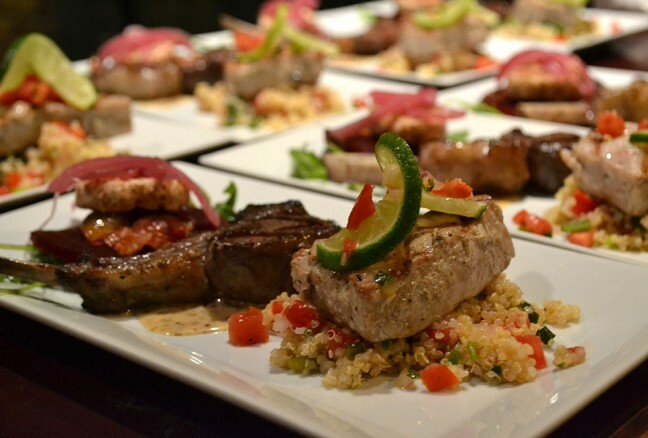 Let Dishcrawl introduce you to what Kingston’s local food scene has to offer. A foodie start up founded on the premise that people can be brought together through good food and good company. Four restaurants are visited in one night, where you get insider scoops from local chefs, managers and owners, while tasting a menu specialized just for you. Seems all fine and dandy, but there’s a twist! The names of the participating restaurants are kept secret as part of the fun. It isn’t until two days prior to the event commencing that the first name of the Kingston Dishcrawl is announced. However, hints are revealed for the other restaurants in the days leading up to the event, which still leaves an element of surprise. But you may ask, what is gluten-free? Christine McCullough, Kingston Dishcrawl Ambassador explained the movement tries to change how people engage with local eateries and expand their taste buds making dining a truly social and memorable experience. With todays on the go generation, savoring each bite and appreciating where food comes from is sometimes forgotten, Dishcrawl changes that. Dishcrawlers at the first stop of the night, The Grizzly Grill. With a background in culinary management, event management and over eight years in the hospitality industry, Christine was empowered by the concept of Dishcrawl and her love of food. So joining Dishcrawl seemed like the perfect move in the right direction. As Kingston has more restaurants per capita then any city in Ontario, Christine was wise in her decision to introduce the city of Kingston to this growing trend. 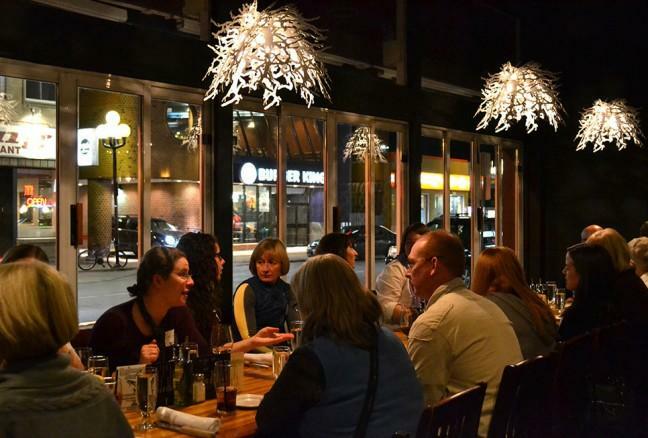 On November 19th, celiac’s and gluten-free dieters strapped on their walking shoes and tasted their way through four of Kingston’s shining stars and best-kept secrets that surprisingly were all accommodating. But you may ask, what is gluten-free? Being a celiac means an individual cannot consume the substance of gluten found in grains such as wheat, barley and rye as it will damage their small intestine. Dealing with this dietary challenge is getting easier though as more grocery stores carry gluten-free foods. However, eating out can still be a tricky proposition. Fortunately, that’s getting easier too and Dishcrawl Kingston has illustrated how accommodating the restaurants can be. Plate served by The Grizzly Grill, you wouldn’t think it was gluten free! Sliced beets, pecan crusted goat cheese, maple pepper bacon, arugula and persevered red onions dressed with a citrus vinaigrette. Mixed greens with a citrus vinaigrette, honey Dijon mustard sauce, simple grilled lamb chop. Grilled yellow tuna served on a delicious tomato arugula quinoa. With an older crowd, no smartphones were in site instagraming but rather chitter chatter about the delightful variety of food presented was all to be heard. The Works Gourmet Burgers was the next spot of the night with General Manager Evan Cheetham dubbed “Easy Cheesy Cheetham” who graciously greeted the group with gluten-free Magnum’s Cider and stimulating their spirits of what was to be served. Drum roll please! Two delicious portion burgers with gluten free buns and an avocado salad served in an old school diner type metal tray. Don’t forget to try their shakes, as they are flavorful and served in a measuring cup. Leafy spring mix, red onions, chopped beets, ripe avocado, walnuts, grilled pear, crumbly blue cheese, balsamic vinaigrette. Fresh avocado, beach house sauce, sun dried tomatoes and feta cheese on all beef patty with a gluten free bun. A chicken burger with field mushrooms, smoky BBQ, cheddar and double smoked bacon on a gluten free bun. 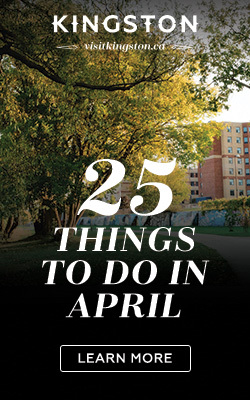 Two locations crossed off the list, there still remained two more mystery spots to discover. The brisk ten-minute walk led us to Frankie Pestos Italian Eatery on Ontario Street to sample authentic Italian food. Yes Italian and gluten free dishes do go hand in hand and it is a matter of asking. While it may be cumbersome, as a Celic or an individual with an allergy, you learn to always ask your servers for substitutions. So don’t be shy and enjoy a night out. Smiles and good food at Frankie Pestos Italian Eatery. House made dressing with romaine lettuce and fresh parmesan shavings. Gluten free penne tossed in a house tomato sauce, white wine, garlic, chopped basil, mussels. Gluten free pizza dough with basil pesto, roasted red peppers, kalamata olives, balsamic onions, goat cheese. Sipps Coffee and Dessert Bar may just be cheesecake heaven. 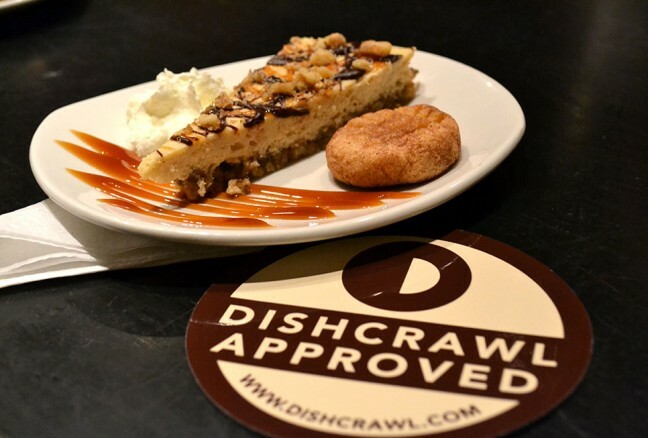 To end the gluten-free Dishcrawl, Sipps Coffee and Dessert Bar opened its doors and delighted the group to a slice of mouth-watering turtle cheesecake with a walnut base, gluten free snicker doodle cookie baked with coconut flour. Can you say amazing? Forget about calories or exercise when you set foot here as they are not to be mentioned. Be a believer and enjoy cakes for what they are, a guilty pleasure. Dining out and being gluten-intolerant does not have to be a tricky combination anymore. The trends for restaurants catering to special diets is strengthening and a strong highlight for Downtown Kingston with numerous restaurants offering gluten free, vegan and vegetarian options as there is high level of understanding of special dietary needs. 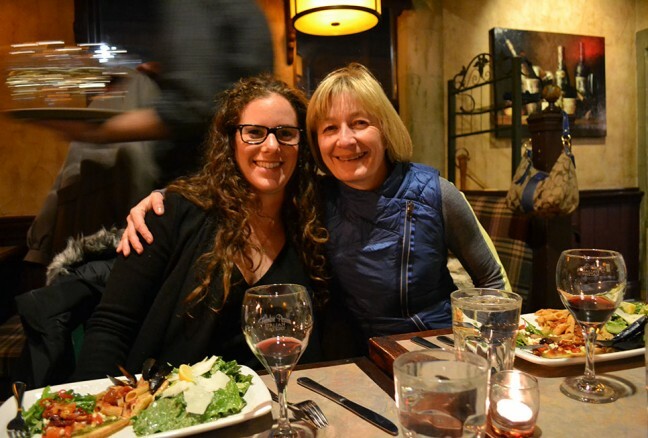 The gluten-free Dishcrawl brought together a community of Celiac’s and their knowledge. No icebreakers necessary as everyone in attendance had the communality of an allergy. With themed Dishcrawls each month, participants always leave with full tummies and well satisfied.